A classic domestic’s uniform for those who, like me, are not a fan of the French maid’s uniform. 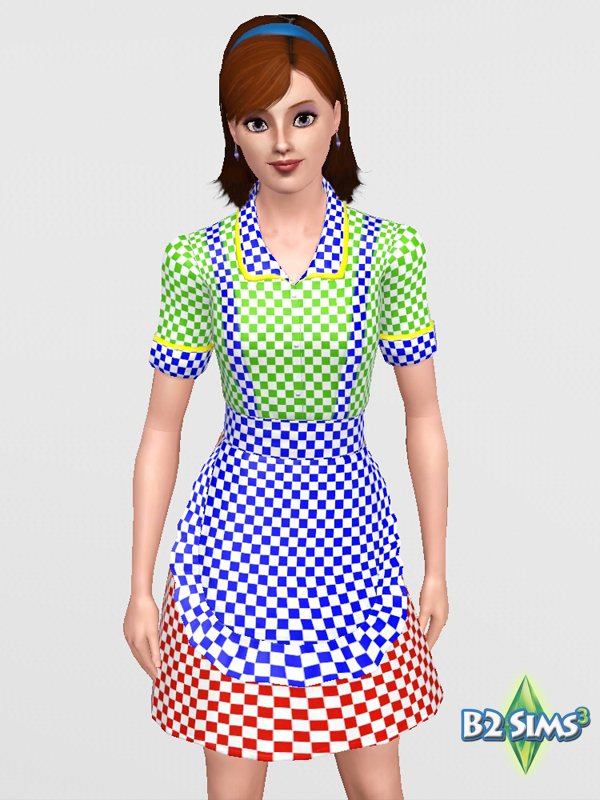 This is a retexture of EA’s ‘Alice’ dress from the I Heart the 50's collection. This is a standalone item and does not require the original EA mesh to be installed. Valid for Maternity: No - EA didn't include one for this mesh and who wants to clean hotel rooms while pregnant, right? This item has 4 re-colourable channels.